My story with dance seems to be able to be summed up by one simple statement . . . “the right place at the right time”. When I think back over my life, I cannot remember a time that dance wasn’t part of it. My love of dance all started with a chance meeting one afternoon at the age of 4. That particular afternoon, I was sitting and observing a dance class that my babysitter’s daughters were taking. I remember the instructor inviting me to participate in the class and I was hooked from that very first moment. I would later come to know that the instructor of that dance class was Ms. Annette Holt, who was the director of The City Dance Program sponsored by the City of Richmond’s Department of Parks & Recreation. Although my mother was convinced I had two left feet, after a conversation with Ms. Holt she decided to sign me up for ballet classes and dance became a constant in my life. I continued to dance with The City Dance Program until graduating from high school; however, there was a transition that happened during my middle school years. During that time The City Dance program hired two new teachers to expand their course offerings. I began to take jazz, lyrical, and tap classes with Mrs. Deidre Davis along with modern and African dance classes with Mr. Rodney Williams. Around this same time Mrs. Davis also lead the effort to create the City Dance Troupe, a dance competition team, which I became a founding member of. With The City Dance Program and the City Dance Troupe I was able to travel across the country winning dance competitions, dance at numerous festivals, have a recurring role in Amahl and the Night Visitors, dance with the Dance Theatre of Harlem, be part of amazing productions, and start my journey as a choreographer. Being part of the City Dance Troupe was such a formative experience for me. It taught me so much more than dance. I learned so much about life, discipline, perseverance, determination, dedication, and it provided me with some beautiful friendships. Those years between middle school and high school graduation became the foundation of who I am today as a dancer, choreographer, and person. 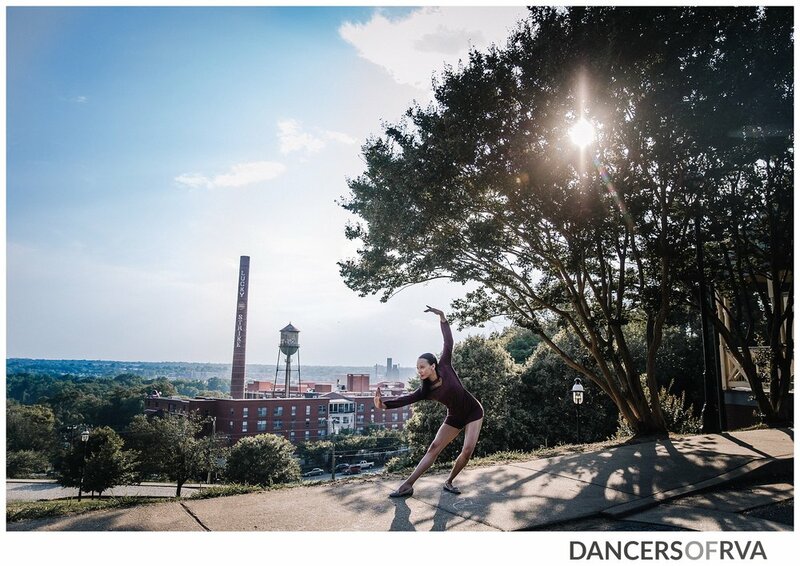 The City Dance Troupe is now known as the City Dance Theatre and is still thriving and giving young dancers in Richmond the opportunity to have a world-class experience through dance and performance. After graduating high school, I thought that I would put dance on the back-burner and try something new, as I embraced life as a college student at the University of Richmond, pursing an accounting degree. However, dance had become the thing that I could depend on and the source of so many great memories. Being in a dance studio had become home for me and a place where I felt free to be me. So, needless to say, my hiatus from dance did not last long. During my first semester of college, Mr. Williams invited me to choreograph one of my works on the Longwood Company of Dancers at Longwood University. And shortly after that Mrs. Davis reached out to me to become part of her staff at the new studio she was opening – Unique Concepts Dance Academy. I also became a founding member and choreographer for the Unique Dance Company, under the direction of Mrs. Davis. After a few years, Mrs. Davis offered me the opportunity to be the Artistic Director of the Unique Dance Company. With a very humble heart, I accepted and ran the company for about 7 years. At that point I faced another transition point. Most of the dancers in the Company had grown up with us and were ready to embark on their own college journeys and I knew in my heart that God was calling me to do something different. After much prayer and contemplation, I decided that it was time for the Unique Dance Company to take its final bows. Looking back, I know that this decision was the first step of obedience toward the calling that God has on my life. For about two years, I took a hiatus from dance. During that time, I experienced a lot of life. Those experiences caused me to develop a deeper relationship with God and drove me to a deeper place of faith. Even during these challenging times in life, God didn’t stop talking to me about dance. I kept hearing the word “rebirth” and having dreams about a theatre that wouldn’t let me sleep. I started to get inquires about classes and choreography, but I honestly had my reservations. So, I did the only thing that I knew to do. I went before God in prayer and with a very sincere heart asked for vision, direction, and confirmation on what God wanted me to do with this gift, that I knew He had given me. God began to download vision to me about Rebirth Arts in such amazing detail that it is still hard to believe how grand this vision is. So, in 2011 I took the leap of faith to found Rebirth Arts, LLC. Rebirth Arts is like nothing I’ve ever done before. It is the marriage of my love of dance to my love for God. Now with Rebirth Arts about to celebrate 7 years of sharing the Word of God through the arts, I continue to be humbled by this journey. To be able to train the next generation of dancers, pour into those who choose to minister to God’s people with their gift of dance, lead God’s people to places of healing and victory, and create great works that glorify God, is truly my honor. For every “yes” I give God, He continues to prove His faithfulness to this journey. During this past 7 years, God has used Rebirth Arts to minister to people through dance classes and workshops, devotional broadcasts, choreography sessions, church conferences, speaking engagements, retreats, and our annual productions. I now find myself in that place of saying, ok God, what’s next? And He has already started to answer. There will be more classes and workshops, trainings for ministers of dance, events and retreats, productions, and even touring. My story with dance seems to be one that has had an unlikely path. For a girl that received her formal dance training through a parks and recreation program, obtained an accounting degree and became a CPA, found purpose through the challenges of life, and is now leading a vision to give God glory through all of the arts . . . the one thing that I can say with assurance about my journey is that it is one of destiny. This is the path that I was always supposed to be on. It’s the path that God created just for me. I’m humbled daily and forever grateful for all the moments that God had me in “the right place, at the right time”. I look forward to this next season, just to see what God will do. 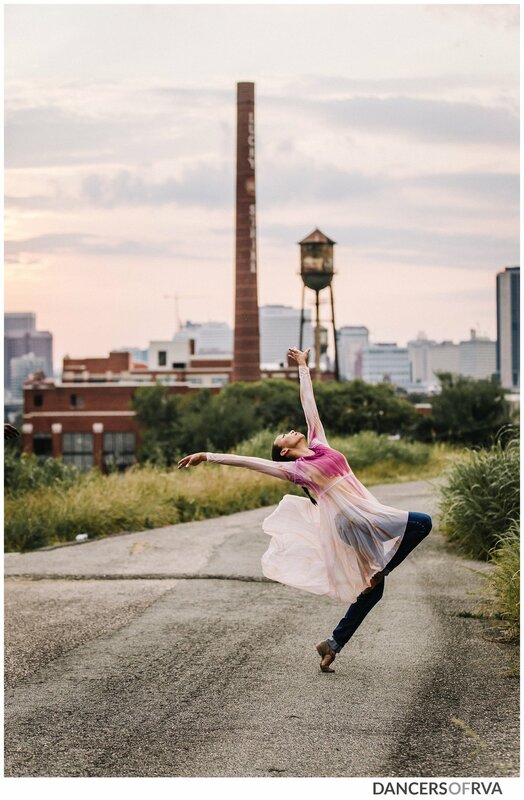 My life and history with dance has such a connection to the City of Richmond, that it was a no-brainer for me to select the skyline of the City to be the backdrop for this amazing moment in my journey. Richmond has been the central backdrop for so many amazing moments and transition points in my life, ministry, and business that my heart will forever be connected to this city. I’m grateful to have the opportunity to showcase and honor this beautiful place through this project.